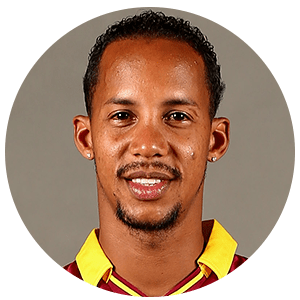 Lendl Mark Platter Simmons (born 25 January 1985) is a Trinidadian cricketer who plays internationally for the West Indies. He is a right-handed batsman, an occasional right-arm medium pace bowler, and a part-time wicket-keeper. His uncle is former West Indian Test cricketer Phil Simmons. A prominent junior cricketer, he played in both the 2002 Under-19 World Cup in New Zealand and the 2004 Under-19 Cricket World Cup in Bangladesh for the West Indies U-19s. Two years later he made his ODI debut against Pakistan at Faisalabad on 7 December 2006. Simmons is capable of large scores; with three first class double-centuries to his name, but at the same time he has been prone to inconsistency. His career best of 282, in a first-class match for West Indies A against a touring England XI in January 2009, heralded his Test debut in the final Test of that tour. Simmons scored 24 and 8 as the West Indies secured a series-clinching draw at the Queen's Park Oval, Trinidad. Simmons was retained for the following West Indian tour of England, but has played no further Tests. In April 2014 it was announced that Simmons had been signed by Indian Premier League side Mumbai Indians, replacing Jalaj Saxena. This had the aim of improving the team's fortunes, after they had gone without a win in any of their 4 matches prior to his signing. On 22 May 2014, Simmons scored his maiden IPL century helping his team post a 7 wickets win over Kings XI Punjab. In August 2014, Simmons was travelling in the USA between games for Guyana Amazon Warriors in the Caribbean Premier League when his bat attracted the attention of US customs officials, who apparently believed that it was being used to smuggle illegal drugs. As a consequence, they drilled several holes into the bat. 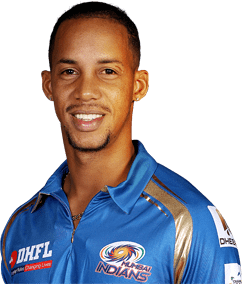 Simmons was selected for Mumbai Indians for play 2014 IPL and 2015 IPL seasons. He opened the batting with Indian Parthiv Patel during the 2015 season due to injury of Aaron Finch, where they became the most dangerous opening pair of the IPL 8 with an average over 50. Simmons played a major role in the team guided to the IPL 8 win by Mumbai Indians. It was their second title in IPL. 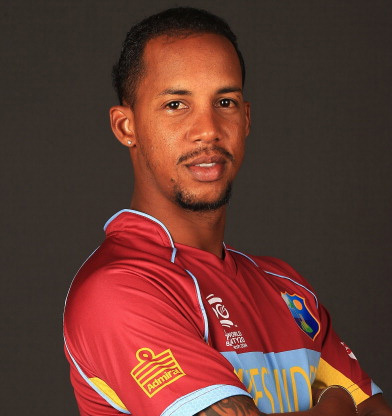 In late 2015 at the 2016 PSL Draft Lendl Simmons was bought and played in the first edition of the tournament for the Karachi Kings. Simmons made his Test debut against England on 6 March 2006 and ODI debut against Pakistan on 7 December 2006. Hs has score two ODI centuries. Though he is very good at ODI and T20I, Simmons has failed in Test cricket, where his highest score is 49 runs against Pakistan. He scored his maiden century in ODIs by scoring 122 against Bangladesh at Shere Bangla National Stadium, Dhaka. His second century came in 2015 Cricket World Cup against Ireland in Nelson, New Zealand. In fact, Ireland upset the West Indies by winning that match by 4 wickets. In March 2017, he was named in the West Indies squad for the Twenty20 International (T20I) series against Pakistan.